How many new customers did we get from our social ad campaigns? Like snowflakes, no two social ad campaigns are alike. Use FullStory funnels to gain a multitude of insights into each campaign's effectiveness and if your ad spend translated to customer acquisition. Add the Event Scopes which relate to positive customer actions for your site. 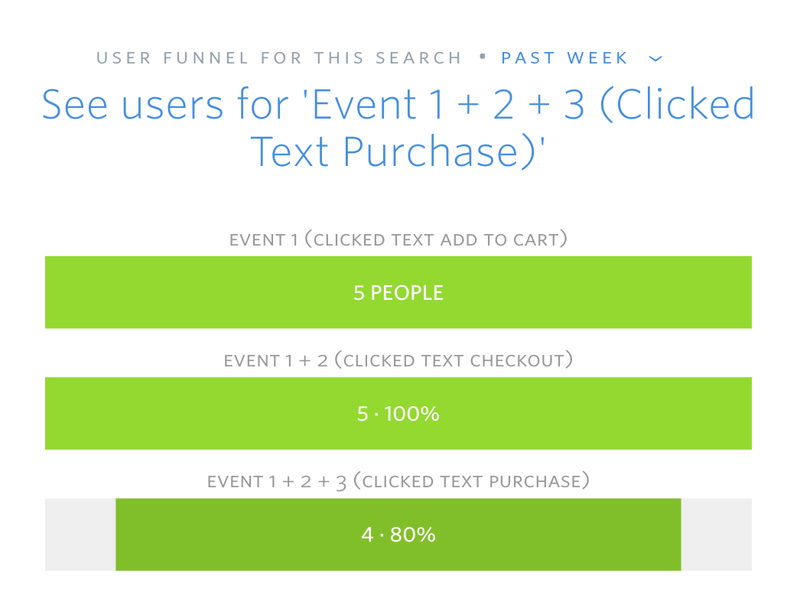 These are your funnel events so add them in the order of first to last interaction. Ex: Has Clicked > Add to Cart , Has Clicked > Checkout, and finally Has Clicked > Purchase on the payment page. Click View Searchies to see the ad campaign specific acquisition funnel. Click into any of the funnel bars to filter your search further.